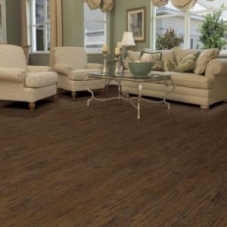 Casabella translates from Italian to: beautiful house, so it makes sense that the Casabella Floors company specializes in flooring that leaves your home looking its very best. With any good beauty secret from Spanx to chicken cutlets, keeping the secret to your beauty a true secret makes it all the more enjoyable. 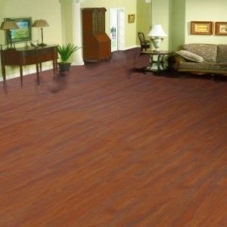 When you’re the only one who gets the whole story, that story becomes even more enjoyable and the same is true of Casabella Laminate flooring. 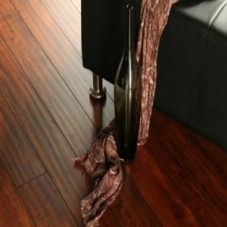 The question of the day with Casabella laminates: Is it true hardwood or is it truly laminate? Far from breaking our rule to never be on your hands and knees in public, you can have a great time that could possibly morph into a fun party game when your guests have to get on their hands and knees in your very own castle to be sure of what’s real anymore when they see the stunning array of authentic textures and patterns that human hands made in the Casabella Laminate collection. 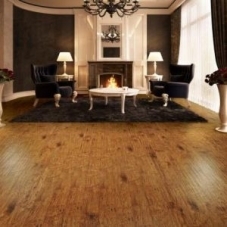 The delightful Olde Hickory and Safary series boast hand scraped looks that make your floors look more expensive if just for the amount of time it would’ve taken an expert woodworker to create. The Williamsburg Distressed series might make your friends and neighbors a bit envious in the beginning so be prepared to bake lots of conciliatory muffins. The series’ beautiful and unique domestic look is more fulfilling than any of the Twilight series books or films. 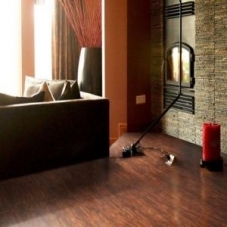 Plus, the Casabella company’s new 7 Foot Long Length planks have the power to make any of your drab rooms look larger and more elegant than you could have thought possible with manmade laminate products. 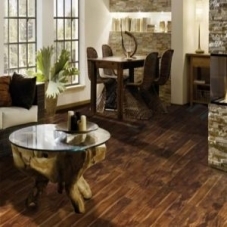 Casabella gives you the regal look of hardwood with the durability and ease of maintenance of laminate. I guess these days even floors are faking it and looking good doing it.